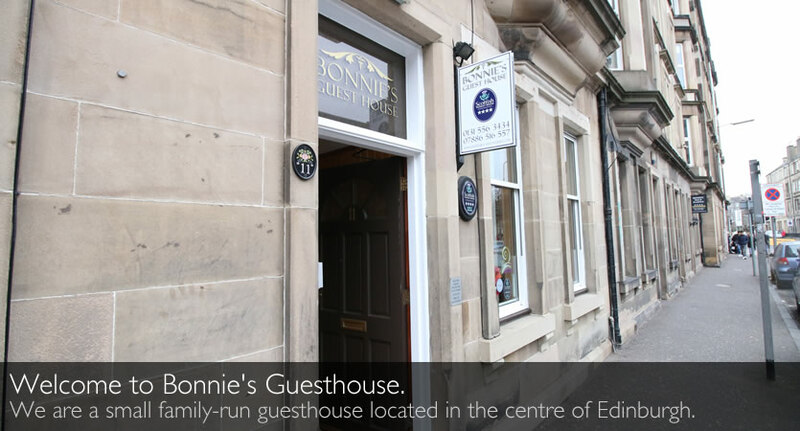 Open all year round, Bonnie's Guesthouse is a small guesthouse in a traditional tenement building only a short walk or bus ride to city centre attractions like Princes Street, Calton Hill, The Royal Mile, Holyrood Palace and Edinburgh Castle. We also have a variety of restaurants nearby, and the Edinburgh Playhouse Theatre is only a couple of minutes walk. Waverley Station is also 5 minutes by taxi or 15 minute walk. 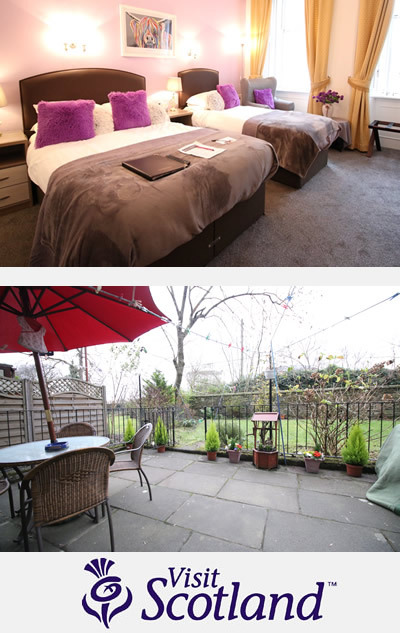 All of our rooms are finished to a high standard with en suite bathrooms, multi-channel digital TV, tea/coffee making facilites and hairdryers in every room. We also have free wifi internet access available. We operate a strictly non-smoking establishment. Should our guests have any special requirements (such as booking a taxi, arranging flowers etc) we are happy to oblige. Nothing is too big nor too small for us! We also speak French and Italian for our foreign visitors. All our bedrooms are on the ground floor with the dining room on the lower-gound floor, accessed by stairs. We look forward to welcoming you as guests in our guesthouse soon. Check in is available from 10:30am to 1:30pm and 5pm to 7pm. Check in outwith these times by mutual agreement with the owner - please contact us with your ETA at least 48 hours before arrival and we will provide instructions for automated check in (including instructions for using the key box).